Sheep wool is a raw material with many fascinating properties. The sum of the properties predestines him as one of, if not the best raw materials for your well-being. The wool fiber is a yearly renewable protein fiber from domestic agriculture. It is not grown as a raw material, but occurs naturally. Wool retains its elasticity and tear resistance of 24 (proven) amino acids that combine to form chainlike macromolecules. The stabilizing effect of this compound is so strong that the cells still stick together despite a 50% fiber elongation. The interior of the wool fiber can absorb and release up to 30% of its dry weight of moisture in the form of water vapor. She is thus the "world champion" in terms of moisture absorption. The scale layer that surrounds the wool fiber is impermeable to water, which is why the wool fiber does not feel "wet" even when saturated. Thanks to its high bio-reactivity, wool has the ability to bind and even partially neutralize odors and pollutants. The burning of wool requires 25.2% oxygen. The breath contains only about 21% oxygen, i. Burning wool goes out by itself. The flash point of wool is reached only at a temperature of 580°C. As a natural substance, clean-washed wool is not allergenic or in any other way endangering your health (no respirable fibers). 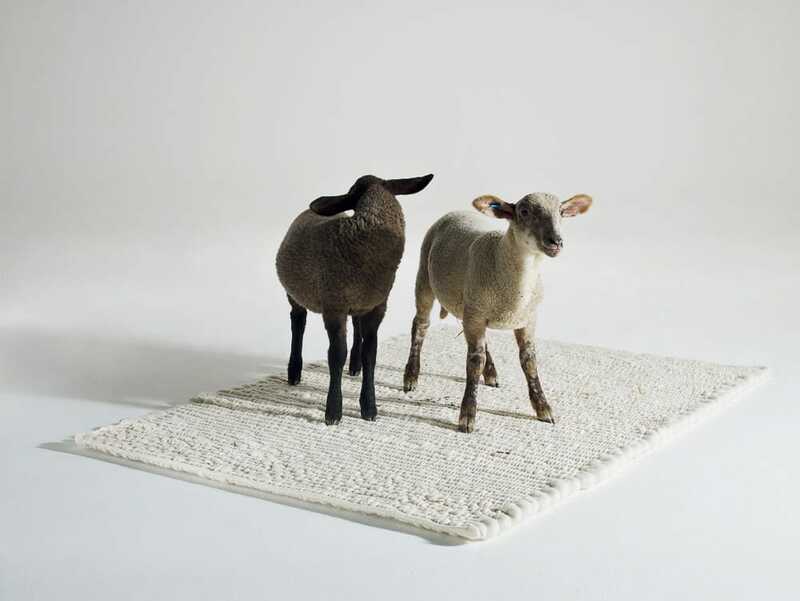 Wool is versatile and therefore the natural raw material of our products. The robust wool of "our" Tyrolean mountain & Stone sheep, who spend their summers in the Ötztal on meadows up to 3,000 m high, form the excellent basis for our carpets, yarns and felt wool. We currently source the wool from around 400 sheep farmers in the region. As landscape keepers in the alpine valleys of Tyrol, the sheep are of particular importance. They ensure that this cultural landscape is preserved. The mountain sheep are shorn twice a year (in spring and autumn). The wool is rather coarse (about 30-32 mic), short-fibred and naturally occurs in the colors white, brown, natural black and mixed color. In addition, the wool draws its wonderful felt characteristic that many filtmakers from home and abroad treasure. Sigi Grüner from the Hotel Bergland in Sölden is one of around 400 regional sheep farmers who supply the Ötztal sheep wool center with wool. Sigi took over his parents' farm in Sölden in 2000 from his father and currently has 70 Tyrolean mountain sheep there. With his showcase company he is very committed to the Tyrolean mountain sheep and is an active member of the sheep breeding club Sölden. At the spring delivery in March 16 we had a short conversation with the passionate sheep owner and Ötztaler. - Why do you have sheep? Why Tyrolean mountain sheep? Our family has been growing sheep for generations. I would like to continue this tradition. The Tyrolean mountain sheep fits best to our pastures and mountains. In addition, the colleagues in the sheep breeding club Sölden is very good. - What is special about the Tyrolean mountain sheep? The Tyrolean mountain sheep is very good almtauglich. It can be kept on the alp from May to September and is very robust against the alpine weather conditions. The ewes feed the lambs very well. In addition, the mountain sheep in winter is not very demanding and comes with roughage. - What makes a good sheep owner for you? What do you have to pay attention to? It is important, above all, a good stable with a decent stable climate. We make sure that the sheep are kept dry, do not absorb moisture. A mountain sheep drinks about 8 liters of water a day. It is therefore very important to provide the sheep with enough water. In addition, a good food quality is very important to me. - Is the Ötztal without sheep conceivable for you? No. Like the Ötztaler, the sheep belong to the valley. The centuries-old pasture rights of the South Tyrolean farmers, for example, which in the summer still pass over the mountain passes to the rear Ötztal in order to obtain their summer pastures there. Grazing sheep is extremely important in the high alpine region. This results in a good solidification of the soil, less erosion. The sheep graze to the ridges and graze the tall grass. This reduces the sliding layers for avalanches. - In your hotel in Sölden you have processed a lot of wool in the form of loden and felt. What is your favorite wool product and what qualities do you like most? Ev. also for you as a skier? My personal highlight is a for me from 6 sewn-together skins, about 2 * 2 m large, prepared fur pad, on which I sleep. In fact, wool is perfectly suited for optimal sleep due to its natural properties. We also feel that in our Bergland Hotel in Sölden ( www.bergland-soelden.at). Sheepskin, the decoration with the regional natural material and wool products - for which we cooperate with you and continually improve and develop products - create a pleasant indoor climate, comfort and well-being. 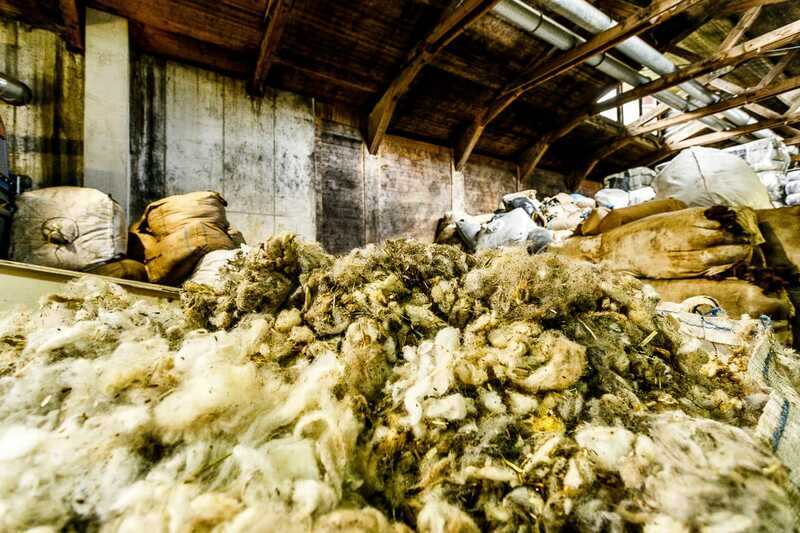 In our in-house wool washing plant, the wool supplied by regional sheep farmers is sorted and washed. This reduces the natural fat content of the wool and removes as many impurities as possible. 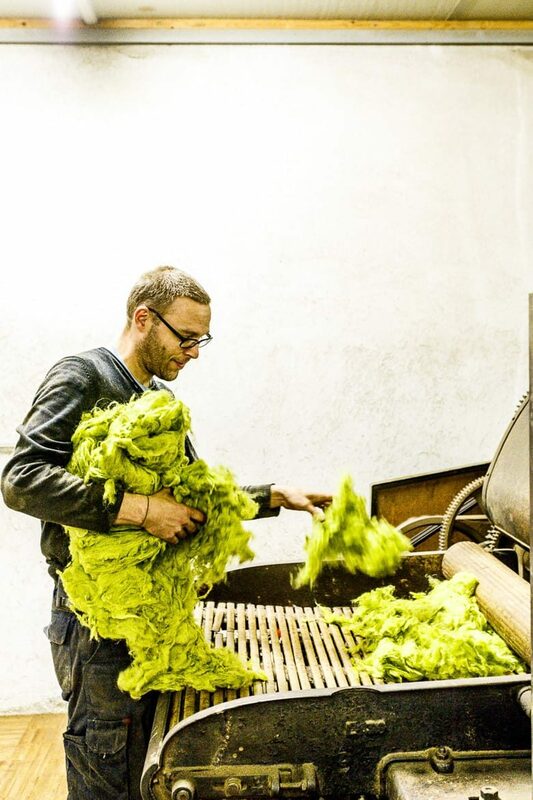 In addition to our own wool, we also wash wool from small manufactories in the Alpine region. The products manufactured in these factories can also be found in our workshop shop. If you also want to have your wool washed by us, you will be happy to receive all information on request.